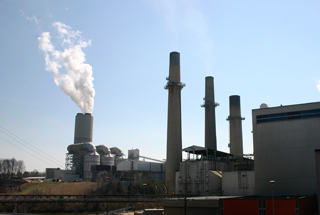 According to the Energy Information Administration, coal consumption fell in each of the 57 colleges and universities that used the fuel in 2008, with 20 of these institutions cutting it out of their energy mix completely. Estimated to offset approximately 15 percent of the campus' electrical demand, the 4.8-megawatt photovoltaic system will provide shade and 50 electric vehicle charging stations to the campus community. The 743-kilowatt solar electric system with a cost of $1.7 million was recently approved by the university board of trustees. While Duke Energy is providing a rebate of nearly $1 million, the university expects an eight-year return on its investment. 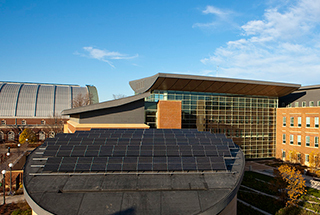 The university has a stated carbon neutrality goal of 2026. The 1-megawatt photovoltaic farm in partnership with Consumer's Energy covering 8.5 acres will supply clean energy to the grid while allowing the engineering students the ability to study that data from the system. The University of Illinois Urbana-Champaign, Ball State University and Southern Oregon University sold credits produced through carbon-reducing activities to help finance and further their carbon neutrality work on campus. Made possible by Second Nature's Carbon Credit and Purchasing Program, the sale to BP Target Neutral generated over $1 million. 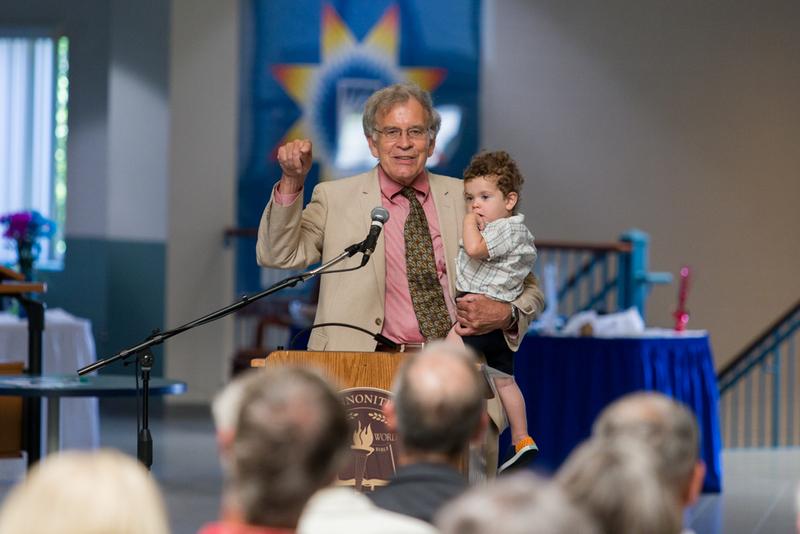 The Center for Sustainable Climate Solutions launched in August with a $1 million donation. 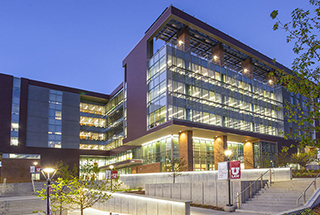 Led by the university, the center will focus on connecting with a national and global network of like-minded organizations, researching best practices and innovation. 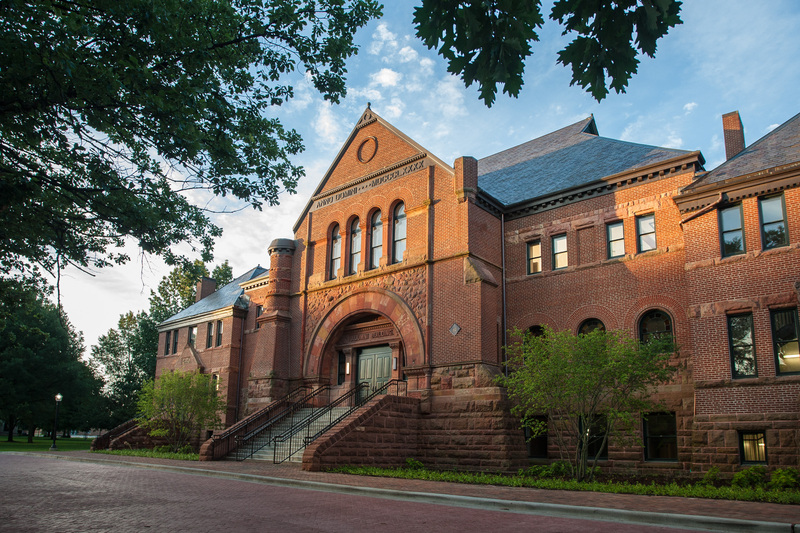 Goshen College is a founding partner institution. (U.K.) To support the nation's decarbonization agenda, increase energy security and enhance local renewable energy capacity, the solar electric system is expected to supply 400-megawatt-hours of electricity, roughly half of the electricity used by the building upon which it will be constructed. A satellite ministry of Arch Street United Methodist Church in Philadelphia is now using photovoltaic energy thanks to a collective of North Philadelphia residents and Swarthmore College students and faculty, who obtained funding for the project through a series of grants and crowdfunding. Funding is also being used for an apprenticeship program for young people in the community to learn about renewable energy. The five-year, $5 million National Science Foundation grant through the university's Center for Renewable Energy and Advanced Materials will be used for investigating and developing advanced materials and devices for renewable energy. Additional aspects of the research include introducing underrepresented minority students to energy engineering through training and outreach activities. The college's partner, SolarCity, has applied for permits to construct two grid-tied solar arrays, totaling a 4.7-megawatt capacity that will cover approximately 19 acres, and a 500-kilowatt-hour Tesla battery-storage system to support each of the two systems. Under the project's power purchase agreement, the solar arrays will be built and operated by SolarCity, and the college will purchase the electricity from SolarCity at a fixed rate that is lower than the rate the college now pays for electricity. Supporting the college's climate change response plan, Williams College and the Town of Williamstown have signed an agreement to invest approximately $6 million to complete construction of a 1.9-megawatt solar array on the town's capped landfill. Williams will provide the initial $6 million investment to construct the project while seeking a tax equity partner that would co-own the solar array and provide $2 million toward the project during the final stages of construction. A $500,000 grant from the U.S. Steel and American Bottom Conservancy trust fund will go toward a proposed 154-kilowatt photovoltaic array to reduce the college’s carbon footprint and provide an educational resource for students and the community. 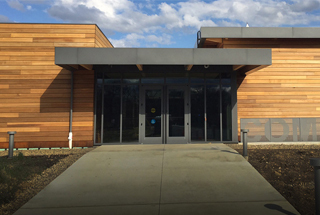 The college's new Community Energy Center builds on existing sustainability and renewable energy efforts and aims to work with residents, organizations and business owners to research, develop and implement innovative projects that enable people and business owners to reap the financial and social benefits of transitioning away from fossil fuels. The first project will provide 30 or more local farms and businesses with solar energy assessments and in-depth information on funding mechanisms. With no upfront cost to itself through third-party financing and ownership with Brightergy, the university will be installing 5.5-megawatts of photovoltaic technology projected to cut costs by $6.2 million. 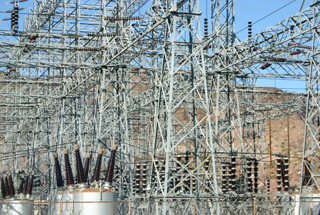 The university will purchase all the electricity from the installation at a reduced rate. Brightergy is also providing educational funds for learning labs and internships. At the 15th Annual California Higher Education Sustainability Conference (CHESC), the university announced that construction is underway on a four-megawatt solar power system at three university parking areas. The university will purchase and own the renewable energy credits and power generated by the system under a 20-year power purchase agreement. Paul Chirik, Princeton University’s Edwards S. Sanford Professor of Chemistry and associate director for external partnerships at the Andlinger Center for Energy and the Environment, received a 2016 Presidential Green Chemistry Challenge Award presented by the U.S. Environmental Protection Agency. Chirik was recognized for discovering a new class of catalysts that are used to produce silicones that could dramatically reduce the mining of ore and reduce costs, greenhouse-gas emissions and waste. 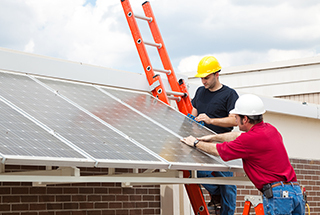 The Solar Training Network that includes the American Association of Community Colleges (AACC) aims to improve access to solar training, resources and careers, and seeks to increase the quality and diversity of the solar workforce and establish national training standards. 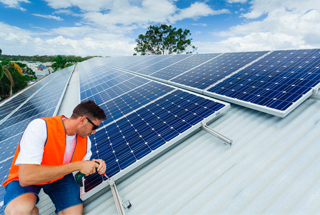 The $2.1 million program is led by The Solar Foundation and funded by the U.S. Department of Energy. The student-engineered project is a spot for students to unwind and charge electronic devices from solar energy. Inspired by a trip to Costa Rica, the site features a 1.5 kilowatt solar tree and two benches. The benches have electrical ports for charging multiple devices and a LED light fixture. 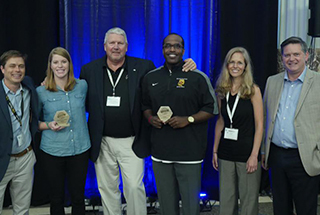 The University of Texas at Austin and Huston-Tillotson University were announced as the two inaugural winners of the College Sports Sustainability Makeover Contest at the Green Sports Alliance Summit. Designed to highlight college athletics' ability to influence fan sustainability behavior and boost college sports sustainability, the winners will receive a prize package valued at $50,000. 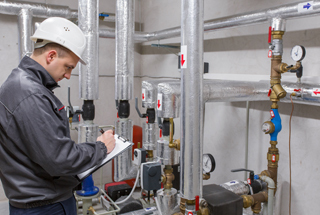 The soon-to-launch $1.5 million, self-replenishing program will be used to fund capital-intensive energy and water efficiency projects. 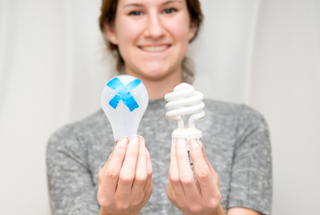 Made possible by a $500,000 grant from The Kendeda Fund and matched with $1 million from the university, Emory also joins the Billion Dollar Green Challenge led by the Sustainable Endowments Institute. The university and Louisiana Generating LLC recently signed the $5 million agreement to construct and operate the Photovoltaic Applied Research and Testing (PART) Laboratory, to be located on about five acres. The project partners say the PART Lab will give students training in the field of emergent alternative energies and reduce the university’s net fossil-fueled energy consumption by up to 10 percent. 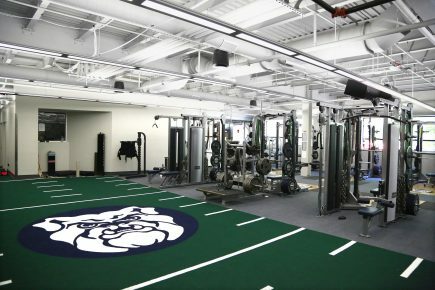 The project will be owned and operated by the university. EBSCO Information Services (EBSCO) recently announced the community college Highland Campus Library as the winner of the grant that will cover up to $150,000 of the cost of installing a solar array, allowing the university to reduce its electricity expenditures. The new two-megawatt solar array is now fully operational. Spanning 17 acres, it is projected to offset almost 40 percent of the annual electricity demand at Cornell’s New York State Agricultural Experiment Station. 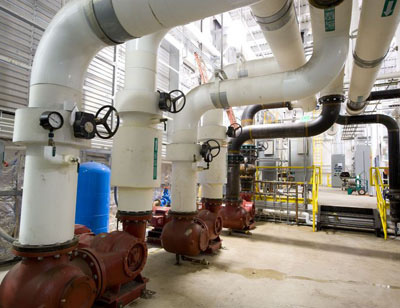 The university has reached an agreement with a utility company to build a $21 million energy plant that will decrease the Burnaby campus’ greenhouse gas emissions by 69 percent. Fuel for the new plant will consist of wood waste biomass such as wood chips and shavings. An on-site natural gas plant currently supplies energy to the campus, which will provide back-up and peak demand once the new plant is built. Expected to be fully operational in 2018, the campus microgrid facility will include up to a 50-kilowatt solar system that will also be used for teaching about and research and testing on distributed energy resources for alternative-energy microgrids. The national competition that asks participants to build a small-scale wind turbine that can provide off-grid power named The Pennsylvania State University as top prize winner, while University of Massachusetts Lowell and Boise State University claimed second and third respectively. 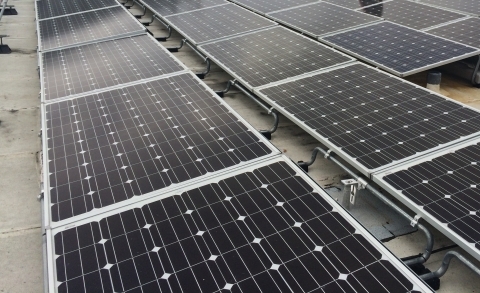 A grant from the university's student sustainability fee fund, The Green Initiative Fund, will enable Sigma Chi fraternity to begin installing a solar electric system for its chapter house making it the first fraternity at UC Berkeley to harness electricity through solar energy. The fund also allocated a loan, which the fraternity says it will repay using savings from the solar system. 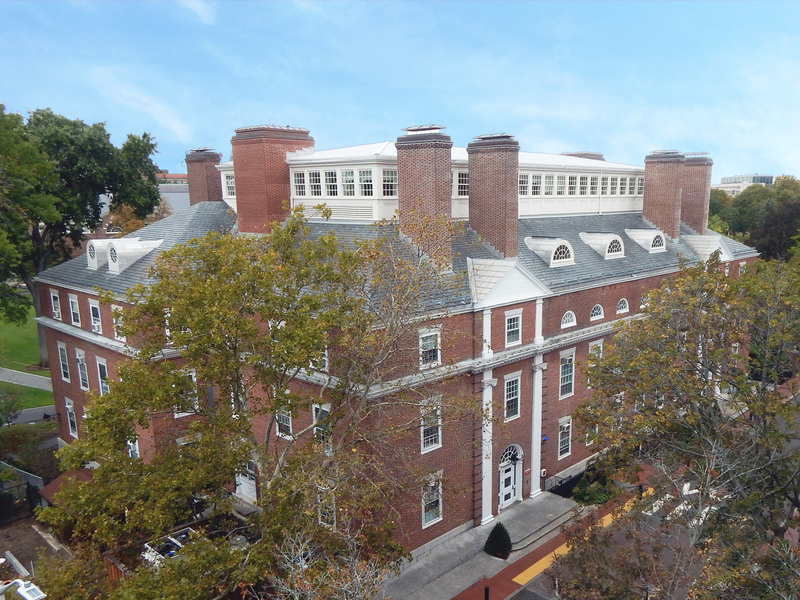 Second Nature, Clean Energy Trust and twelve higher education institutions created a new partnership that aims to accelerate clean energy technology commercialization by using their campus as testing and demonstration platforms for startup companies. Through this partnership, facilitated in part by the White House’s Office of Science and Technology Policy, the 12 schools will develop and implement a strategy for using existing campus infrastructure to test emerging energy-related technologies. A recent announcement revealed a unanimous UMass Foundation Board of Directors' decision to divest its endowment, whose value was $770 million at the end of the last fiscal year, from direct holdings in fossil fuels. 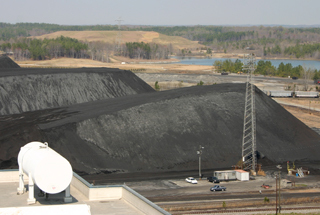 The move follows divestiture from coal companies in 2015. (Australia) Over the next five years, a new university commitment says it will divest a A$40 million ($28.7 million) managed fund from the 200 most carbon-intense companies. The memorandum of agreement signed between the university and Geothermal Resource Park Iceland in April 2016 aims to employ a renewable energy park on the Ithaca campus that includes geothermal and hydro resources. Geothermal Resource Park Iceland will assist the university to design a facility that transforms the campus into a zero carbon model for other campuses. The new fuel cell system, a device that utilizes a chemical reaction to convert fuel into energy, was installed to help the university meet a significant portion of its energy needs while helping reduce harmful emissions. Bard College, University at Buffalo and SUNY Broome Community College each won $1 million as part of Governor Cuomo's Energy to Lead Competition. 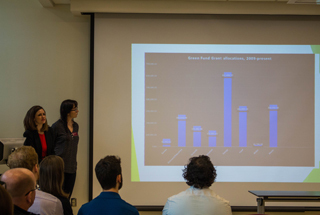 The competition, first announced in October 2015, challenged student-led coalitions from New York colleges and universities to design and develop innovative plans for campus and community-wide clean energy projects. Applicants were required to demonstrate innovation in one or more of the following areas: project design, business model, partnerships and/or curriculum integration. New lighting, a lactation station, vermicomposting, and t-shirt and paper recycling are among the projects selected as the newest recipients of Green Fund awards.